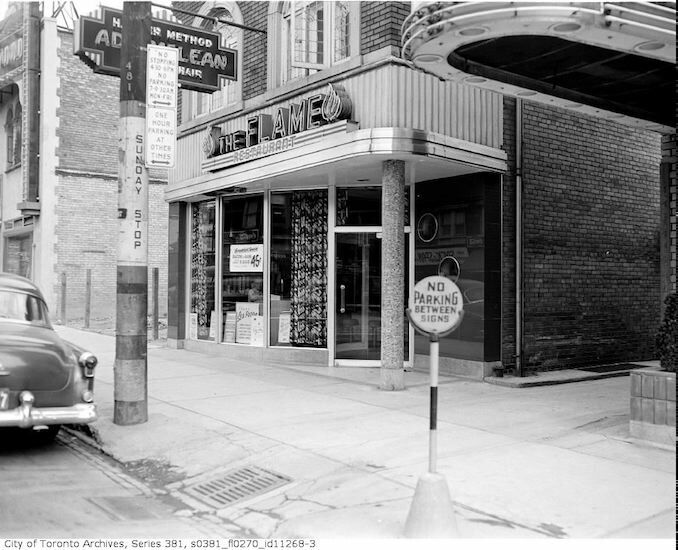 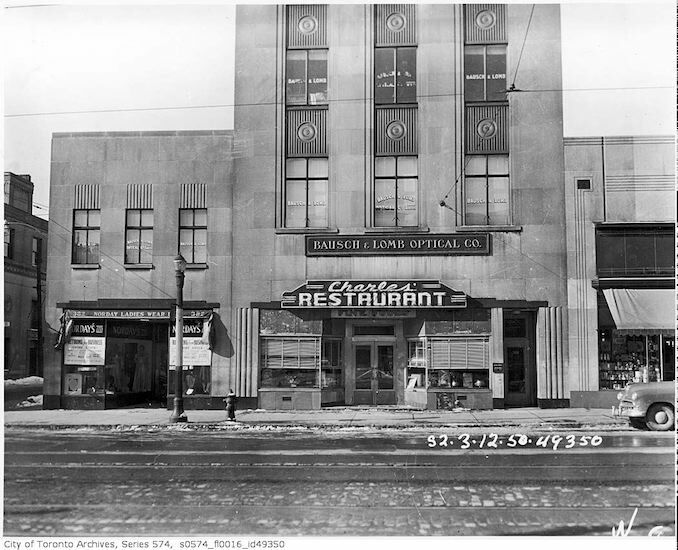 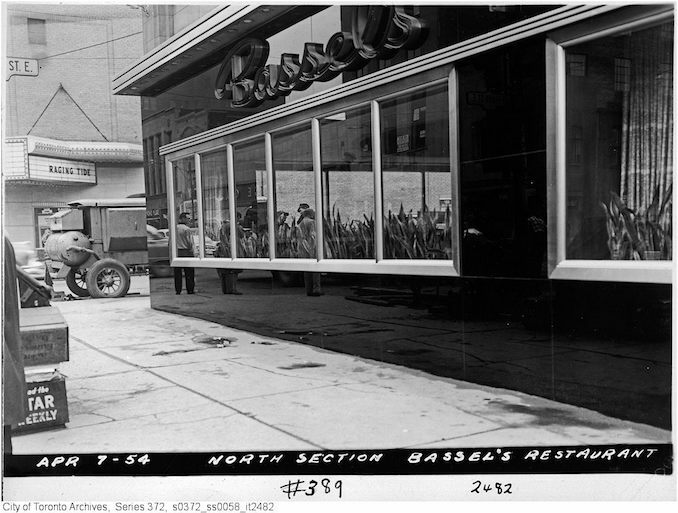 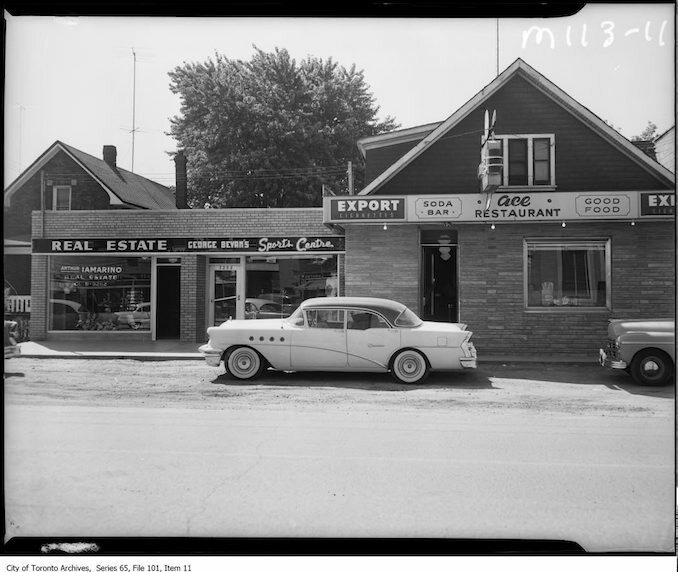 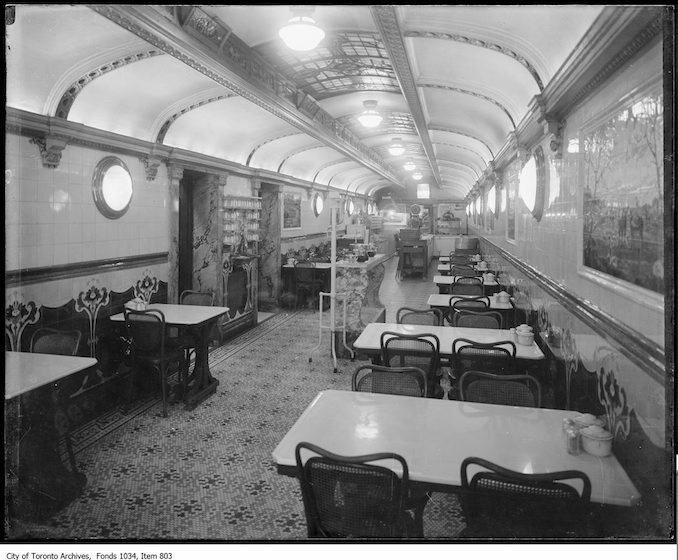 This week, I was browsing the Toronto archives for vintage restaurant photographs. 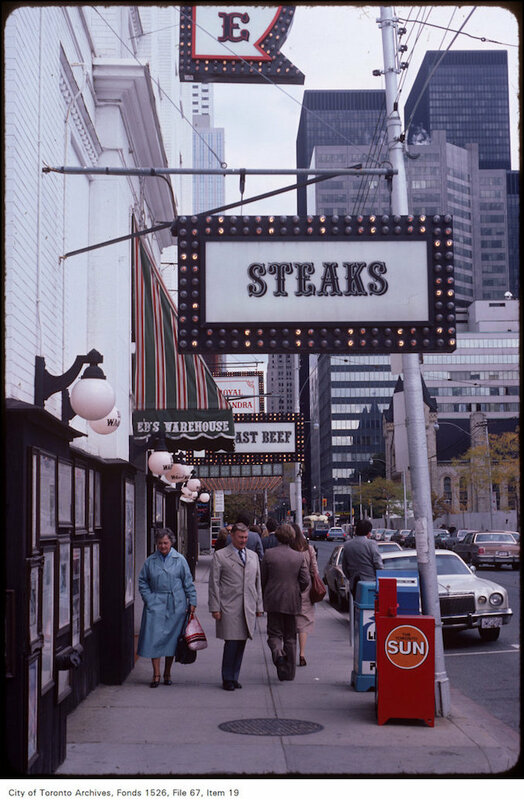 I love old signs and seeing how the streets have changed over the years so I thought that this would be a great gallery to curate. 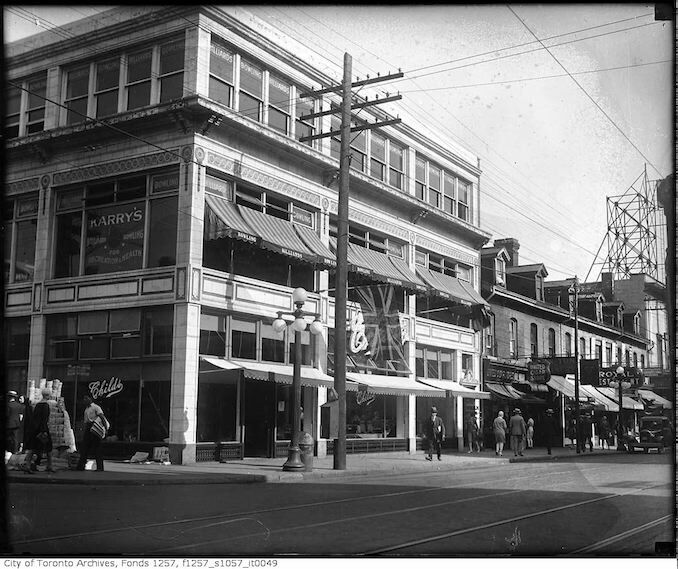 For this album, I chose photos from a 100 year period dating from 1900-2000. 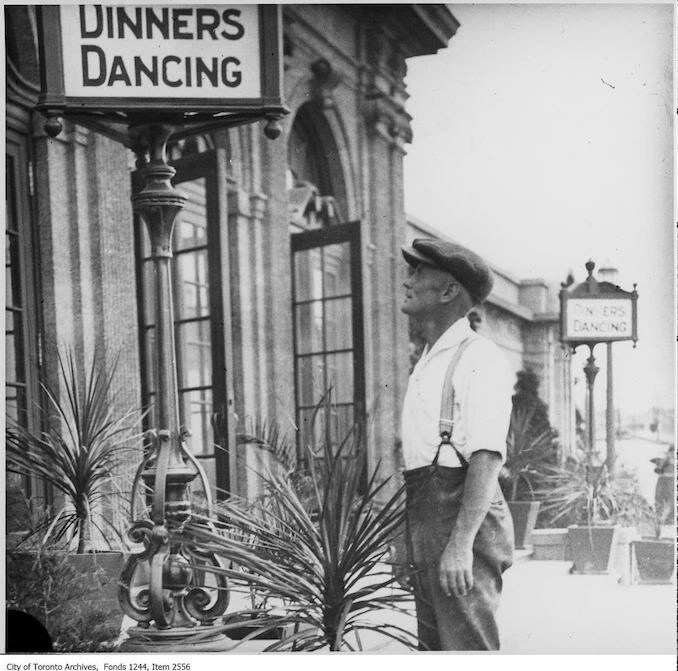 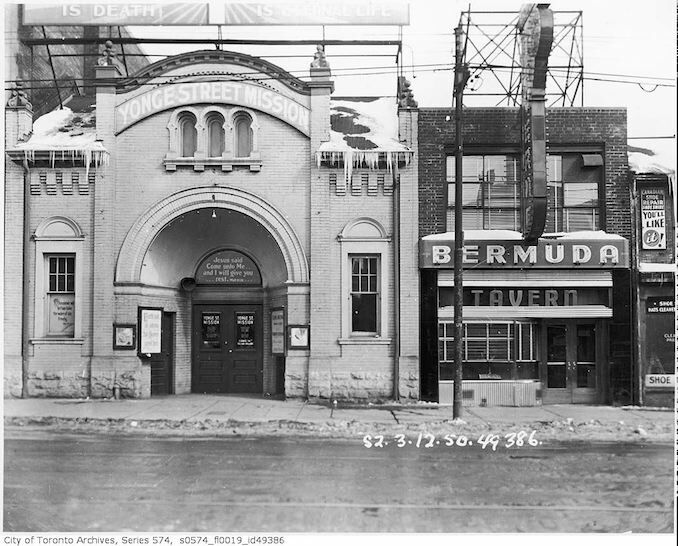 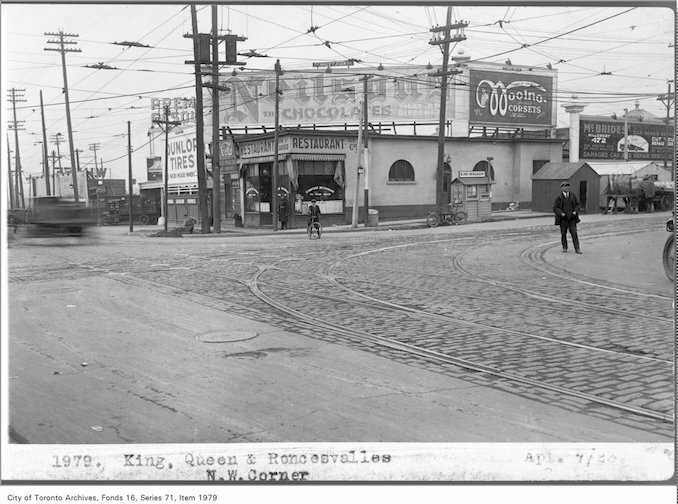 On Bloor Street or Yonge Street, at Ontario Place or the CNE, these places fed the residents of Toronto’s past. 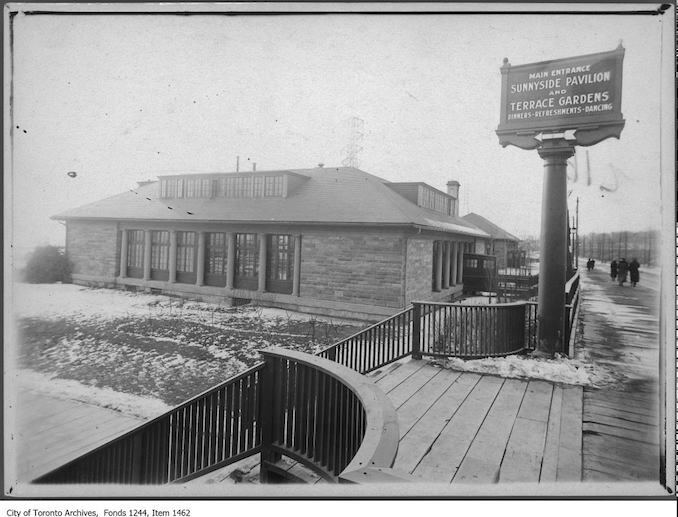 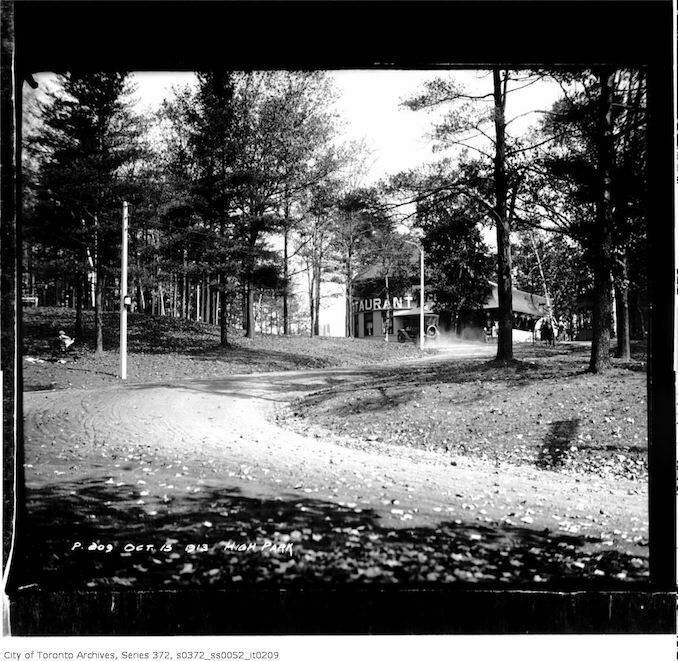 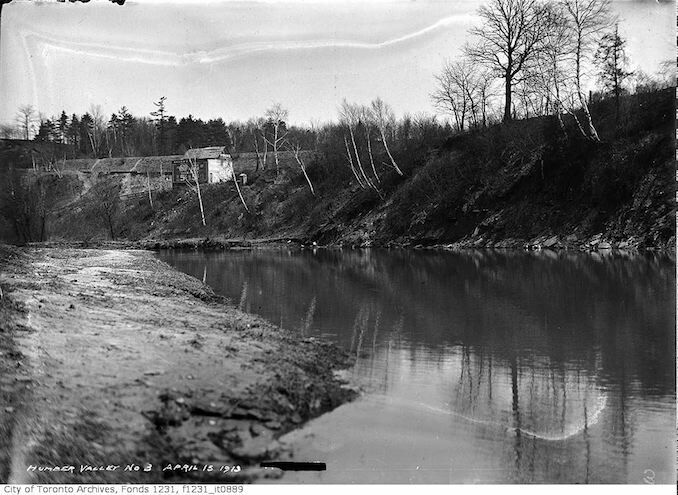 1910 – Boat livery and restaurant, Humber River. 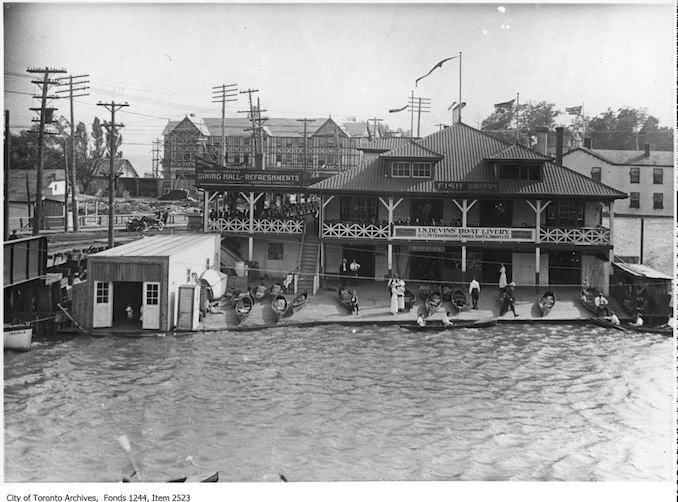 1910? 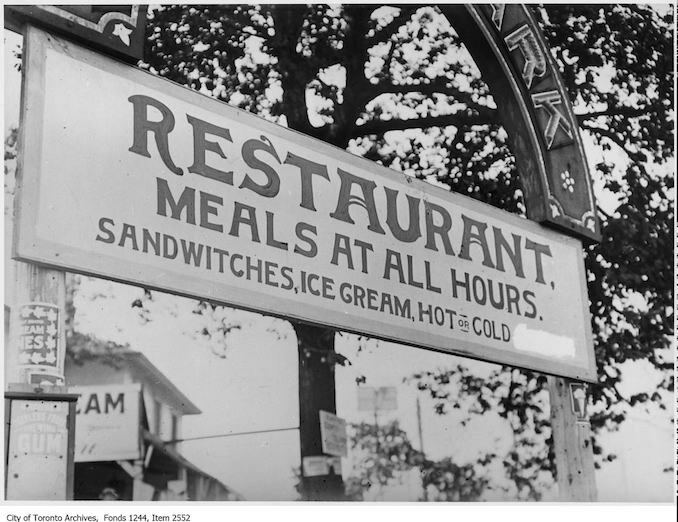 – Lettering on restaurant window is partially in Hebrew. 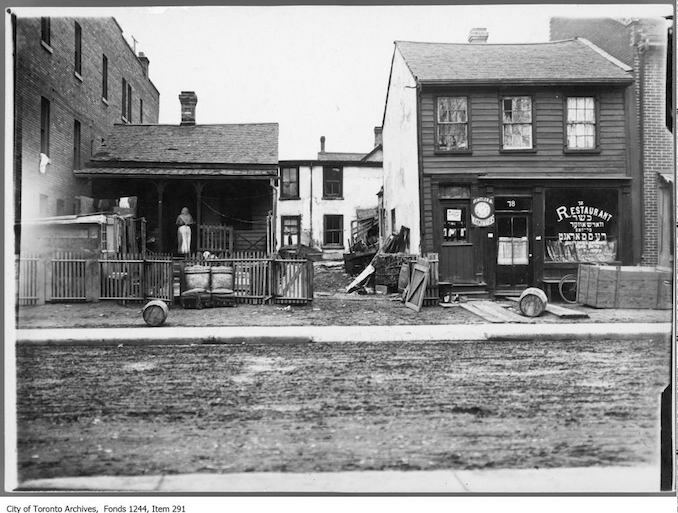 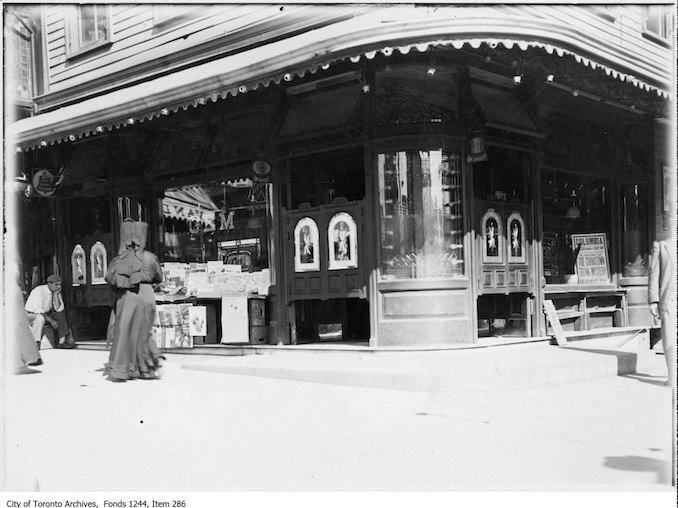 Photo appeared in the Toronto World, December 4, 1910, “Picturesque if not Artistic–Glimpses of ‘The Ward’.” – Chicken warehouse, Agnes Street. 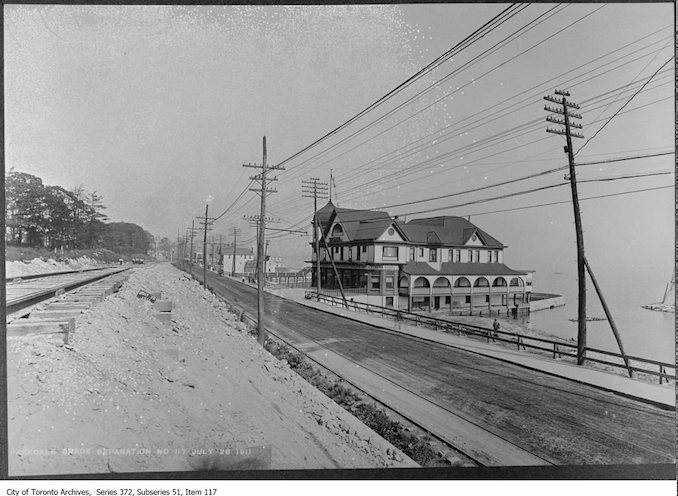 July 28, 1911 – P.V. 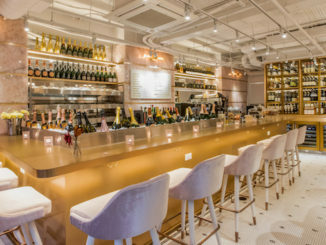 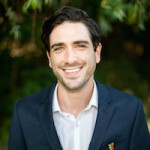 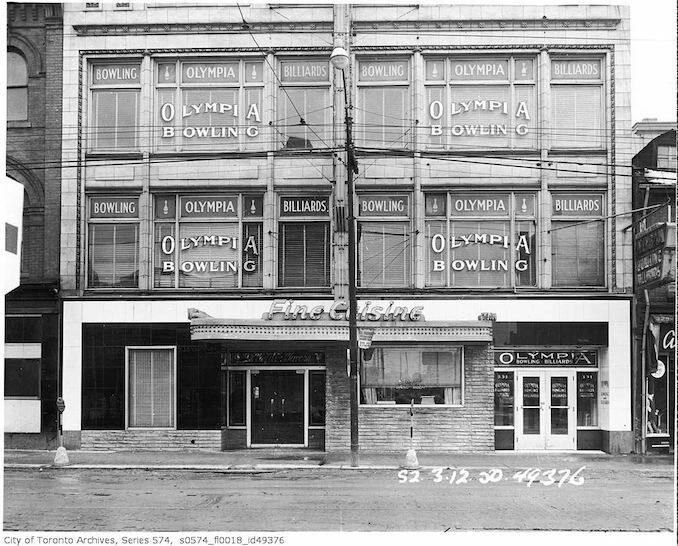 Meyer & Co. 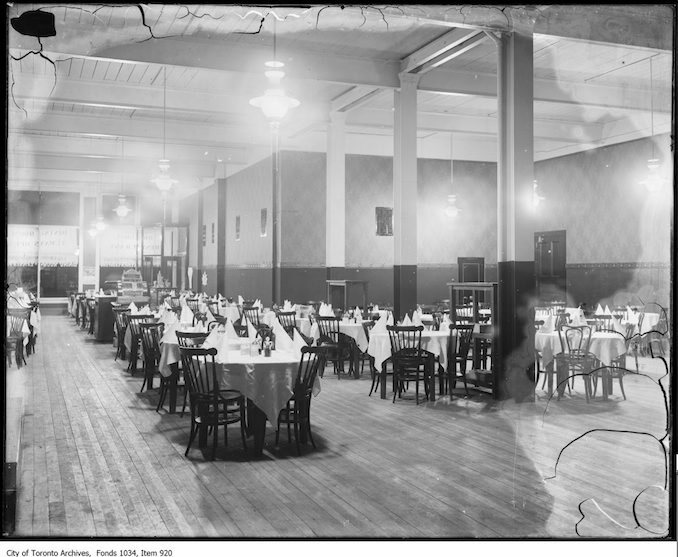 Restaurant, 1801 Queen Street West looking east. 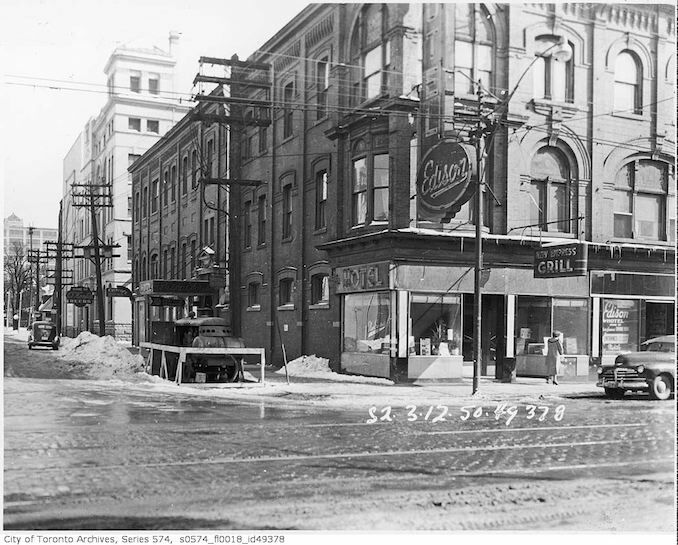 193? 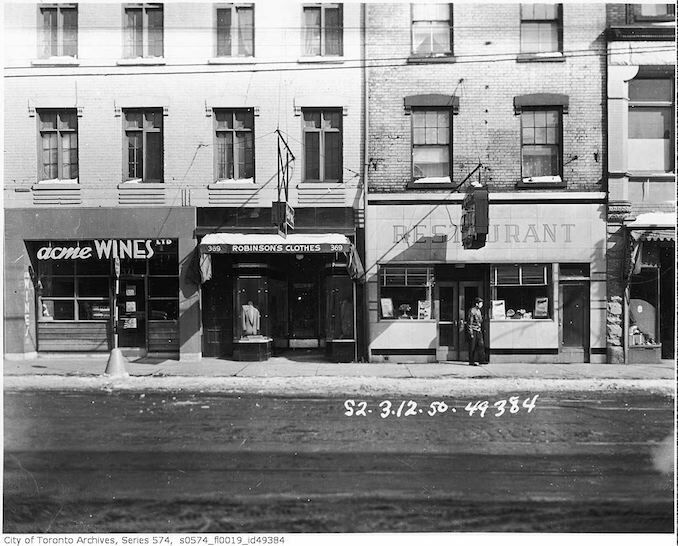 – Yonge Street near Wilton Square – Royal Restaurant on far right. 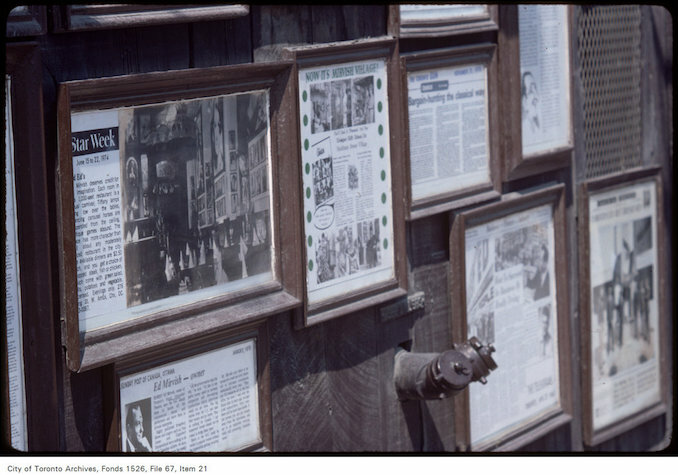 Oct. 19, 1953 – Exterior views of “The Flame” restaurant. 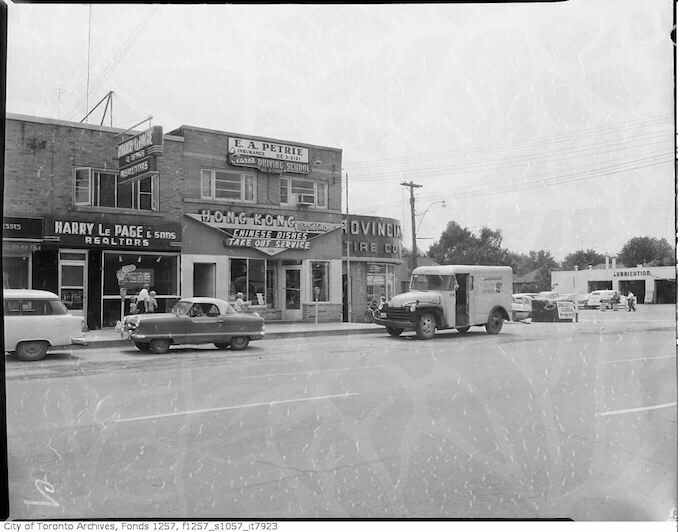 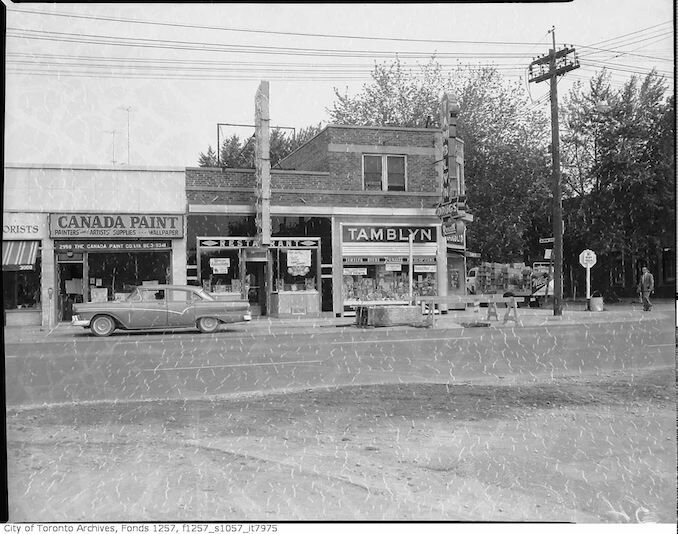 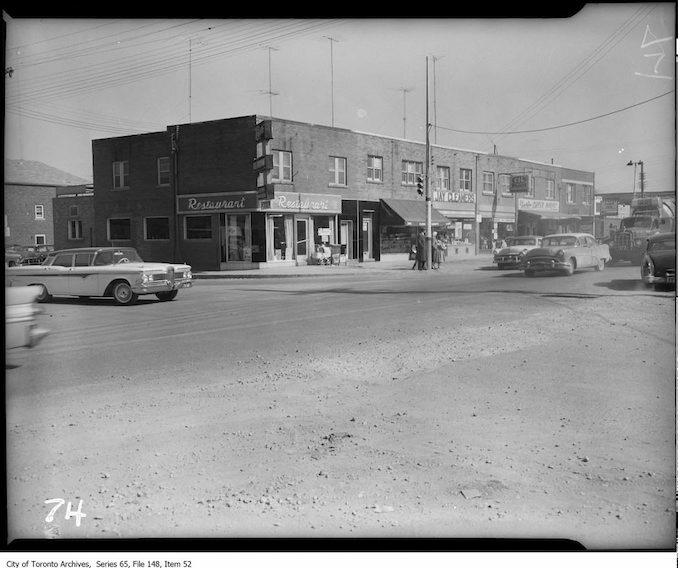 1955 – Dufferin Street, Eglinton to Wilson. 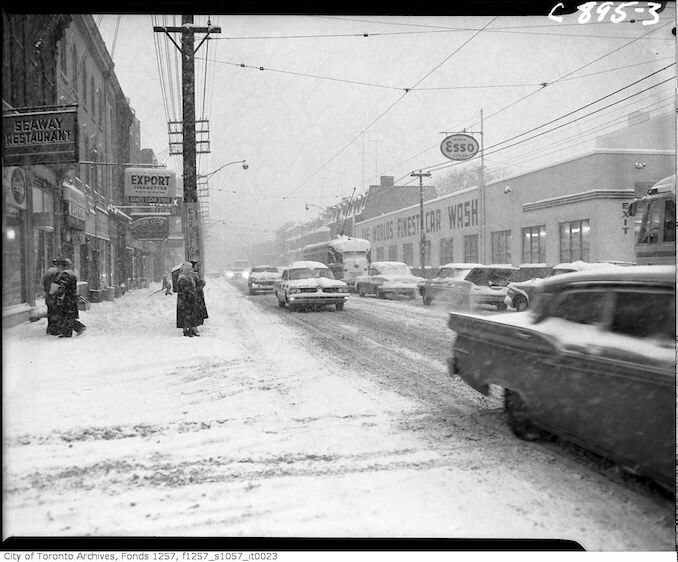 Jan 26 1961 – Seaway Restaurant – King Street West near John Street during snow storm. 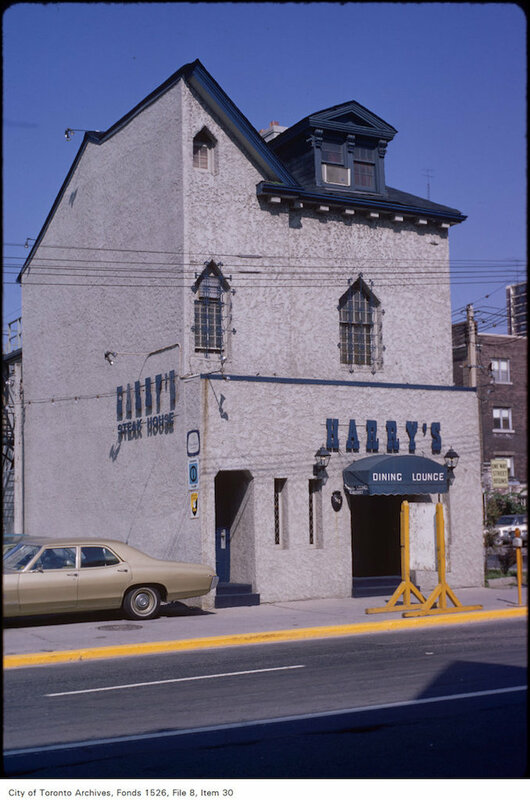 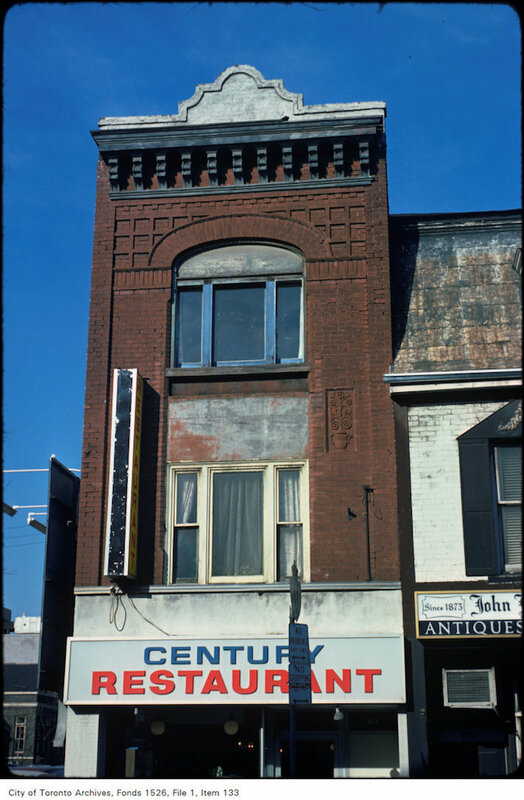 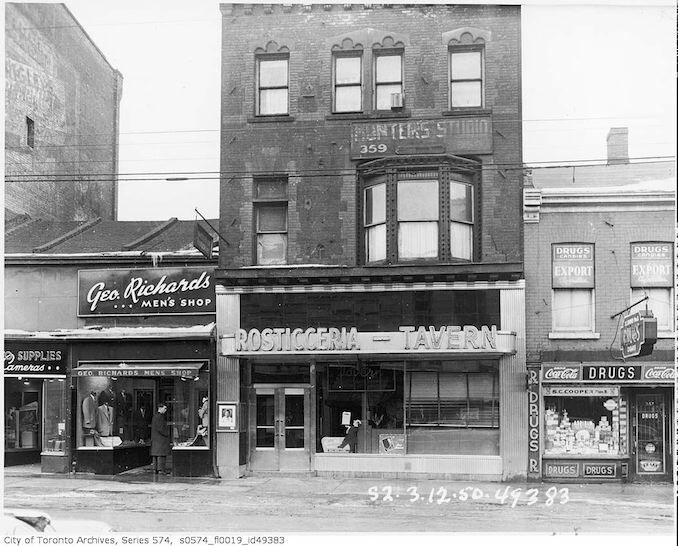 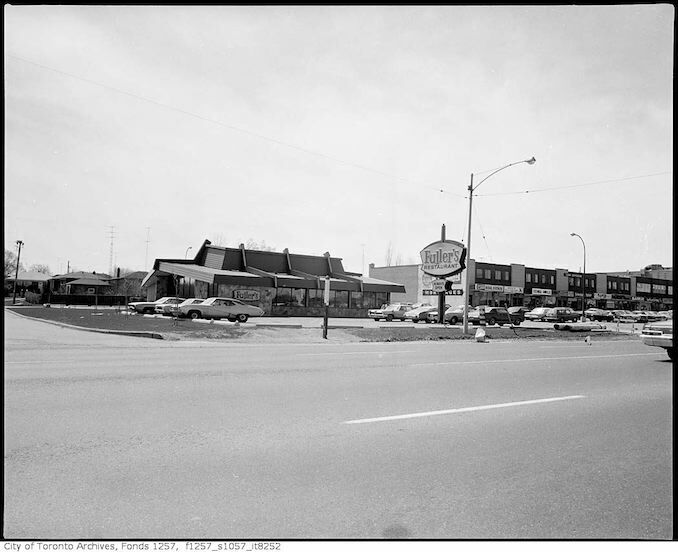 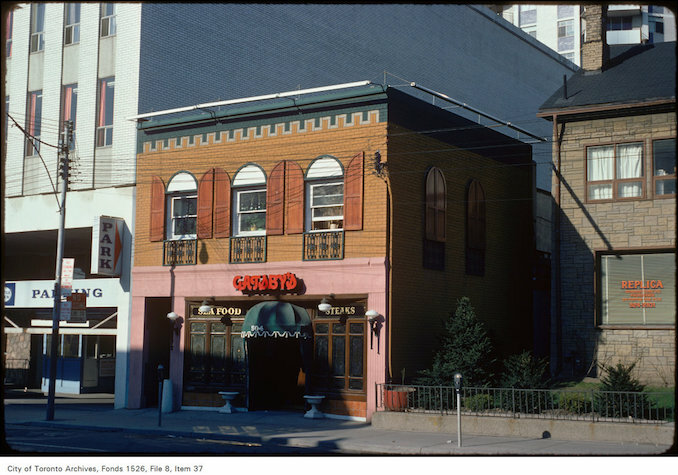 May 3, 1975 – View of Gatsby’s restaurant, on Church Street north of Carlton Street. 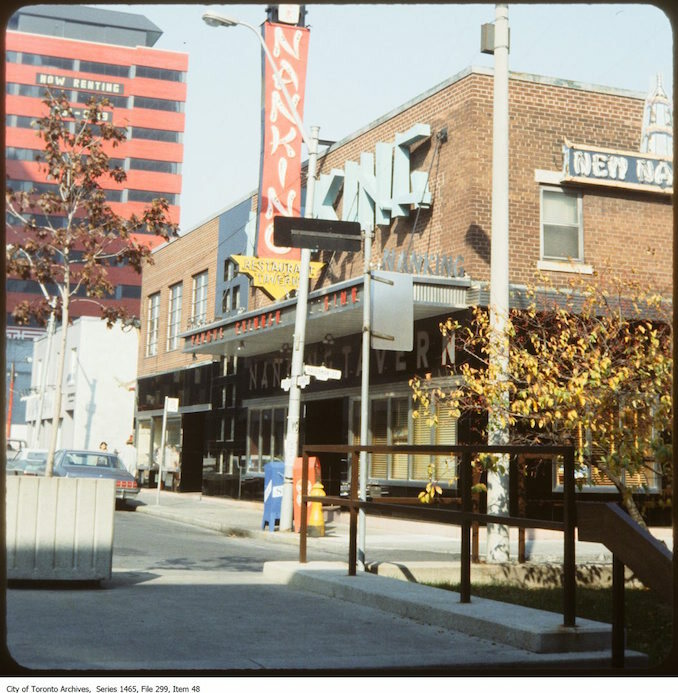 1978 – Nanking Restaurant and Tavern, famous – Chinese cuisine, Hagerman and Elizabeth. 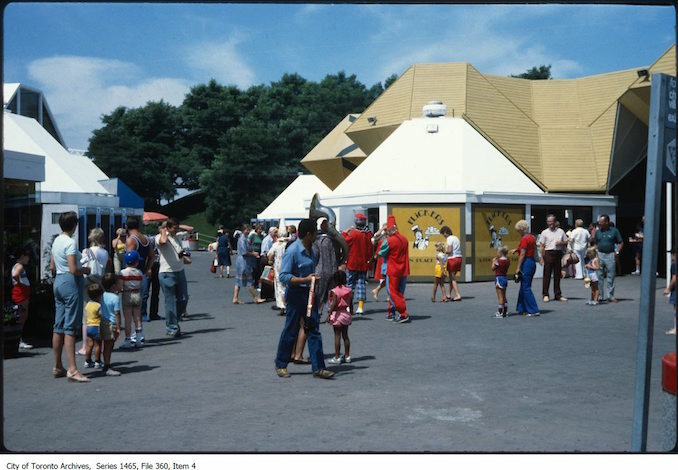 1980 – Flickers Restaurant at Ontario Place. 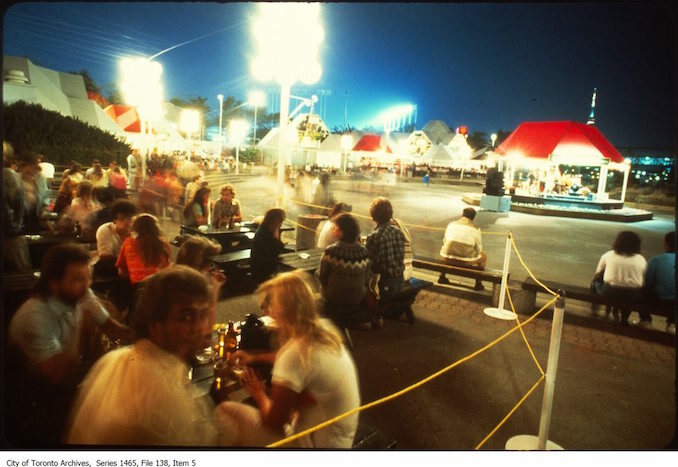 1980-1984 – Ontario Place restaurant patio. 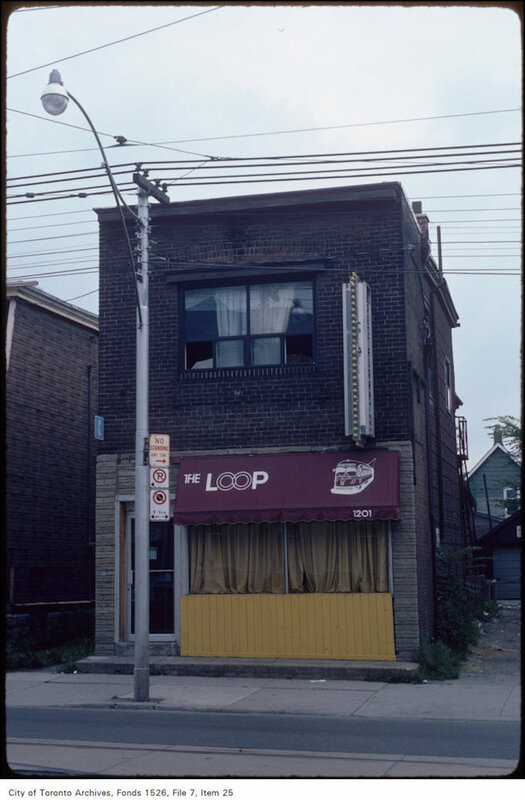 July 31, 1982 – View of the Loop restaurant at 1201 Bathurst Street, across from Hillcrest. 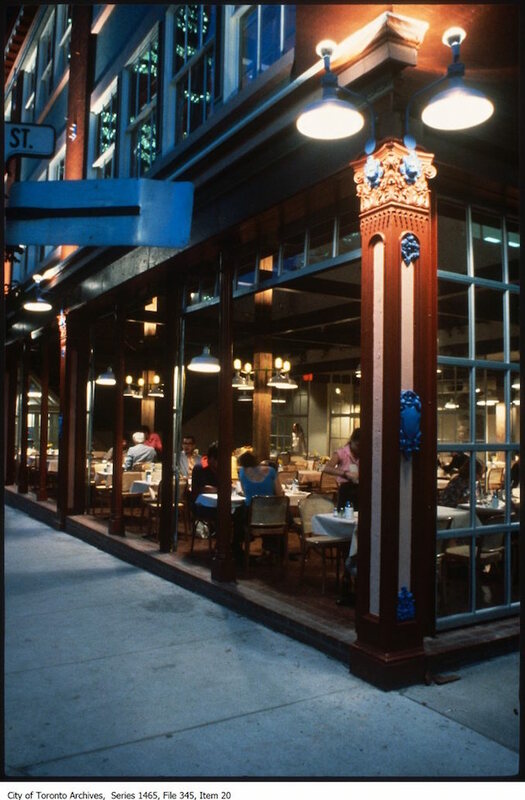 1988 – Restaurant on corner of Pearl and unidentified street. 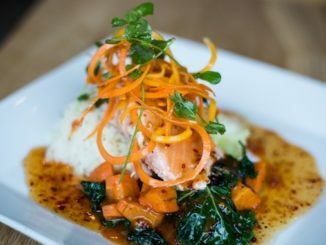 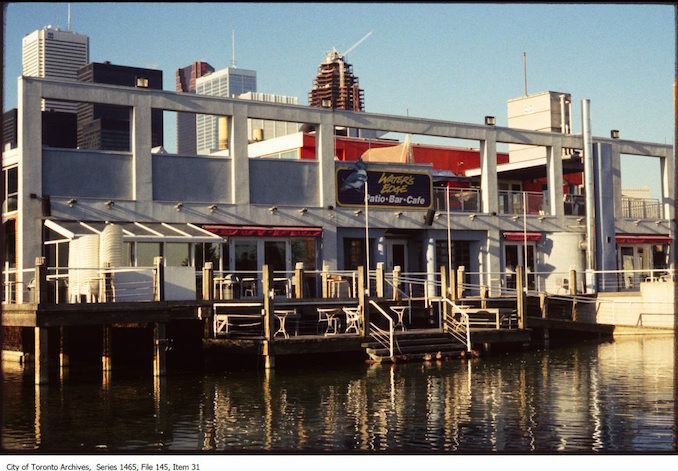 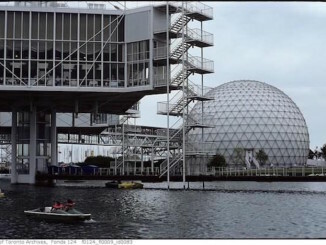 1980-90 – Water’s Edge restaurant at Harbourfront Centre. 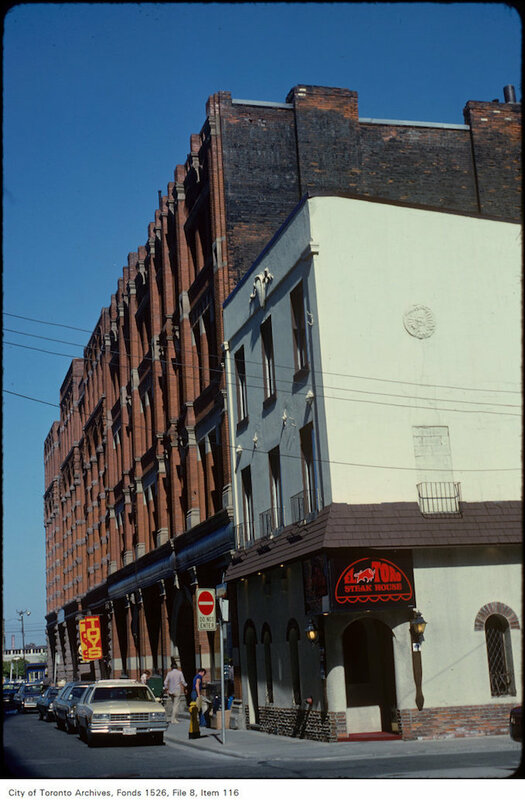 Oct. 9, 1981 – King St W – “Ed’s Warehouse” restaurant – view is east from Duncan. 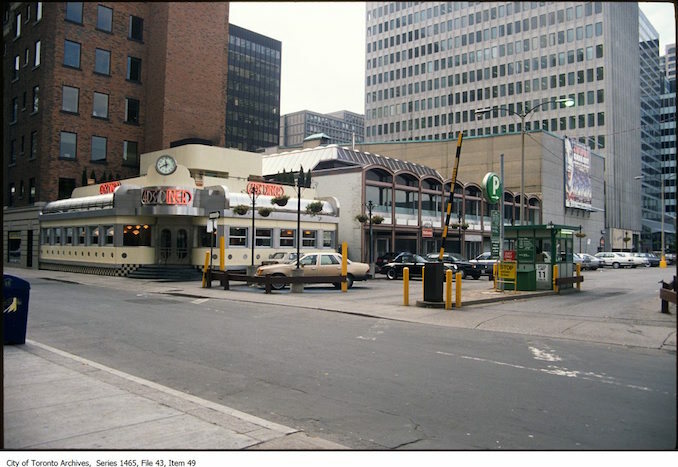 Oct. 9, 1981 – King St W – “Ed’s Warehouse” restaurant – outside. 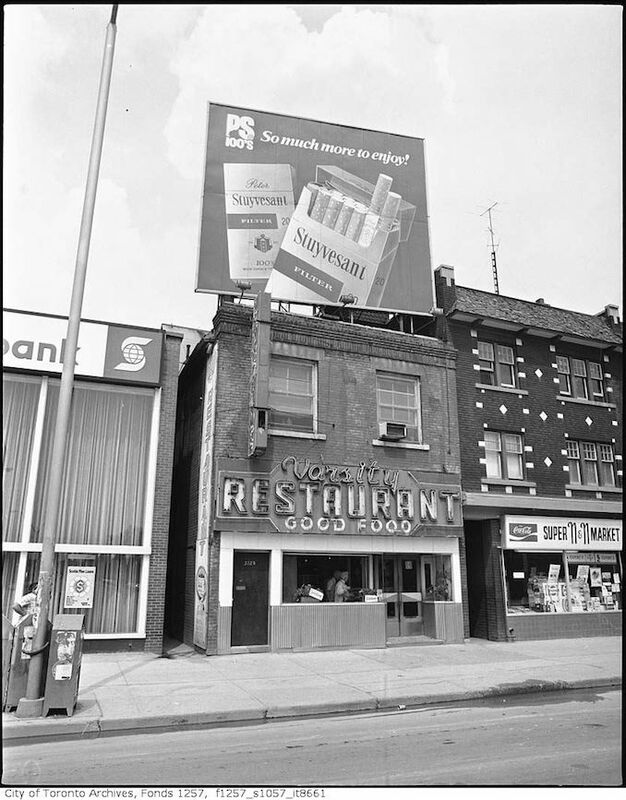 Aug 6, 1983 – Restaurant on corner of Pearl and unidentified street. 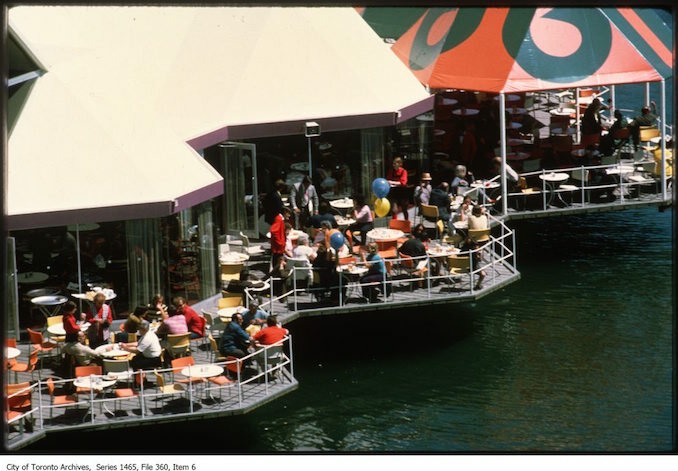 1980s – Restaurant patios at Ontario Place or marina. 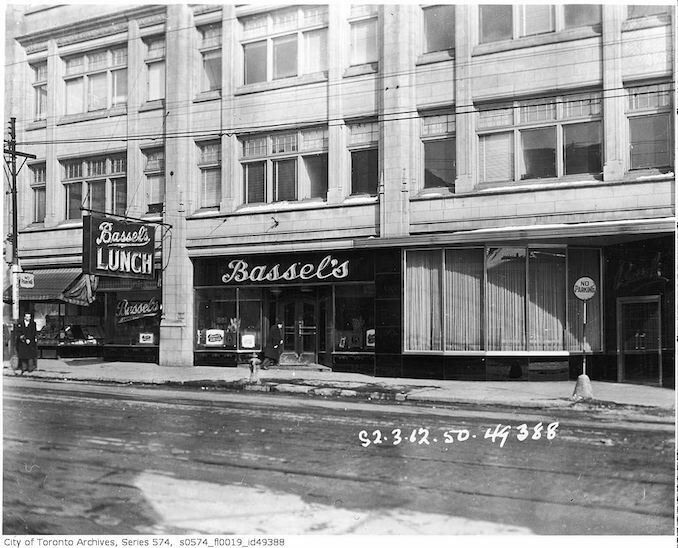 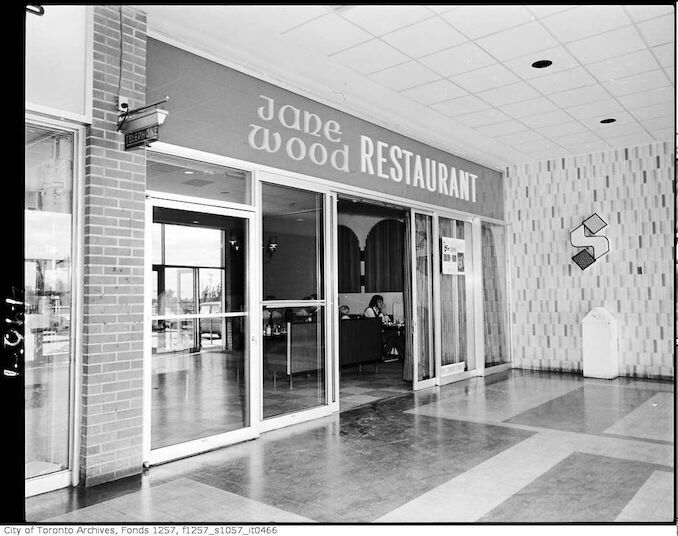 Browse more vintage restaurant photographs on the Toronto Archives. 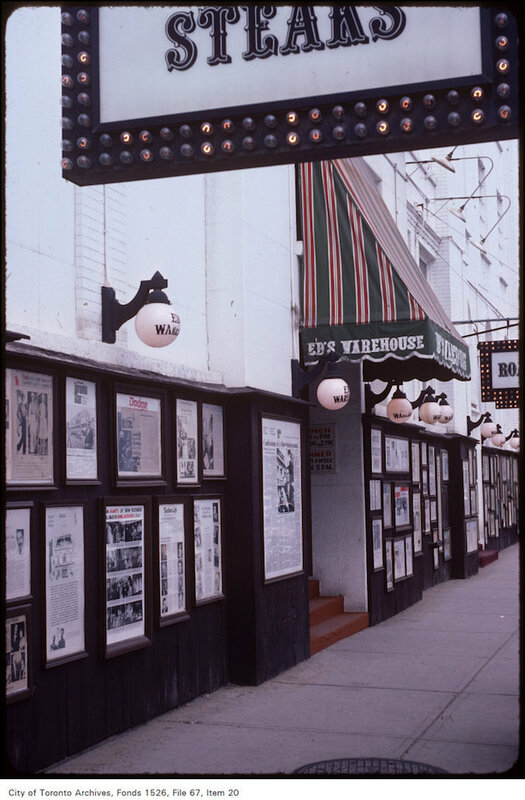 Stay tuned for next week’s gallery.